Wow, the Thais really know how to celebrate New Year. In the US, we drink and maybe dress up a bit, then watch a ball drop from a tower. Here, they spend three days drinking, partying and dowsing each other in water. 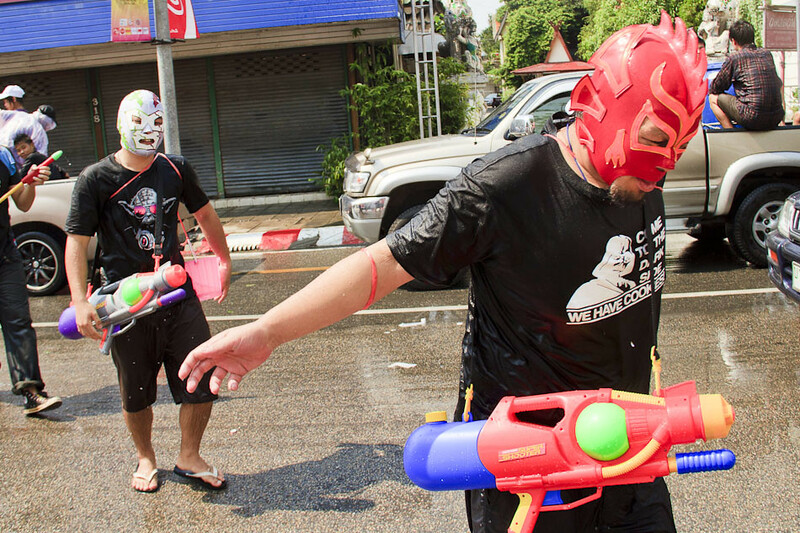 And no place does it better than Chiang Mai, where the entire city is packed with thousands of people waging friendly war on each other with water guns and buckets of ice water. Ages ranged from 2 to 90, but for three glorious days, we all acted like giddy children. as usual — great photos. I love the spirit that is so apparent in the kids’ eyes. no social media or RT buttons on your posts?? Oh how I miss the peace/V for photos, really nice upbeat photos Wes. Excellent shots! 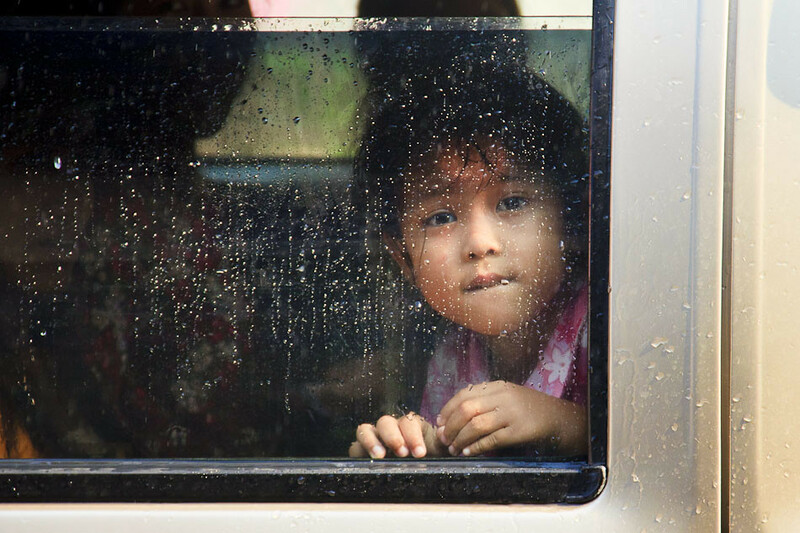 We’re in Bangkok ~ I was afraid to take my camera out for Songkran (good, because I was soaked through and covered in chalk for days…) love your photos. Yeah it was nerve-wracking. Didn’t shoot nearly as much as I’d liked but made up for it by having crazy fun slinging water. Nice photos! I celebrated on Ko Phi Phi-things got a little crazy but it was a majority of foreigners celebrating. 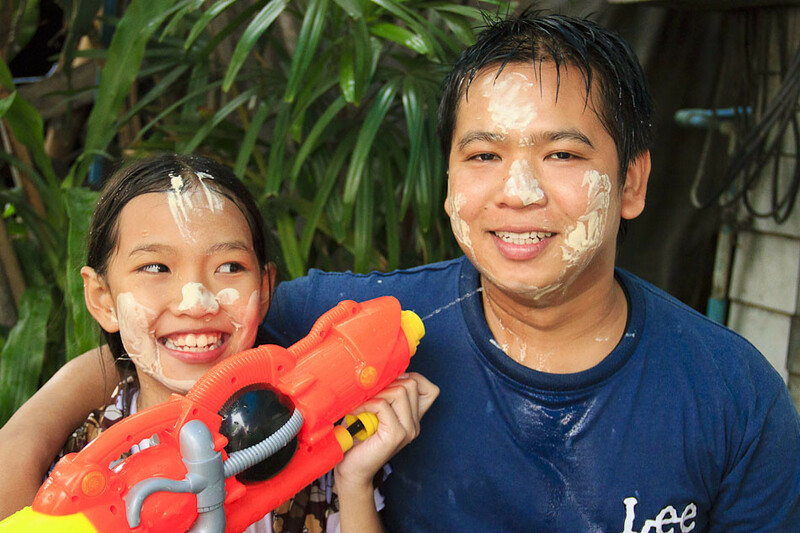 Happy Songkran! Happy Songkran! Glad you got to have some fun. She was hilarious and a total backstabber. She doused me with several buckets even though we were on the same team. I really feel how energetic and fun those 3 days were. Loving this new format, it really lends a nice presentation to your photos. What camera are you using? I’m thinking of shopping around for a new one and okay, maybe I want to be you (talented photographer). And how did you manage to not get your camera soaked? Nice! It’s really active. I love the layout of photos too. Shame I just missed that! But I read many Songkaran celebrations through blogger friends. What a nice world. :) Happy Songkaran Johnny! Ha! Thanks, brother. Have fun out there. Amazing photos! This looks like so much fun. I wanna go! Next year! I really can’t recommend it enough. 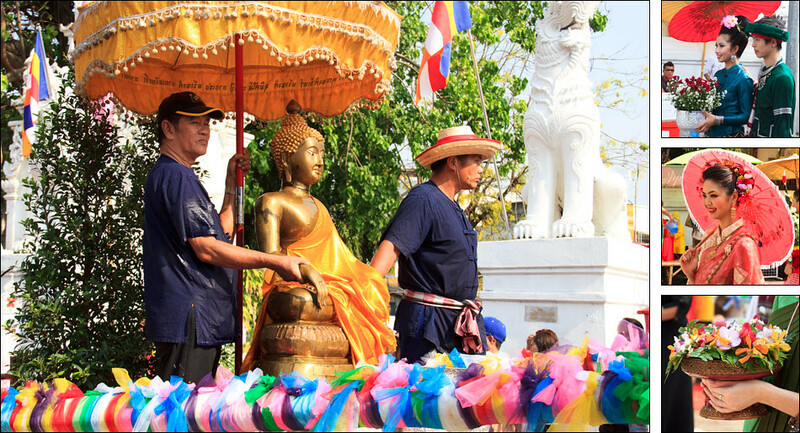 Fab pix… Was in Chiang Mai too and this really captures the essence of the festival. A lot more playful in Chiang Mai than Bangkok in my opinion. Everyone gets involved! Agreed. It’s hilarious having a 60 year old woman pour a bucket down your back. Great job capturing the feel and flavor of a local celebration, with a modern eye. Great photos! You really seem to have captured the spirit of the event. And everything is so colorful! It looks like a lot of (soggy) fun. It’s a blast. I wish I’d taken more photos but was having too much fun. I love Chiang Mai. Planned to stay four days there and ended up there for two weeks. 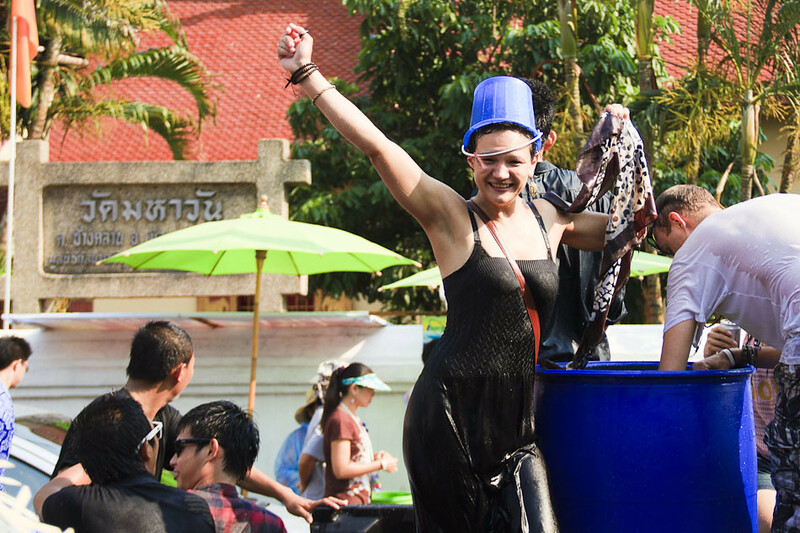 I can only imagine how awesome it is during Songkran. Looks like an incredible time. Very cool! Nice Shots Wes. The celebration looks like a lot of fun. My fingers are crossed that Beth and I might be in Chiang Mai for the holiday. Thanks, Randy. You won’t regret it, I promise. So much life and movement in these shots! Thanks so much, Kyle. It’s hard to take a bad photo during the event. Daring to get so close with such a nice camera! A rain cape is a nice substitute for that plastic bag that is still not expensive like a housing (overkill) but pretty effective for non-submersion water protection. But hey, whatever works! Love this! I’ve always wanted to do Songkran, but never been in the right place. This really catches the spirit of it, for me. Must have been soooo much fun. Next year! I suspect I’ll be back. Great shots Wes. That second truck one takes me right back to the action. Next time we will have to rent a truck. Great meeting you over the past few weeks. Dude, I totally agree on the truck (or an open-top tuktuk. I had so much fun — huge thanks to you and Jessee for being part of it. Great pictures! We should totally do that here in the US! In fact…I think I will have a water fight new years party…XD Thanks for the idea and the pictures! Awesome Wes! 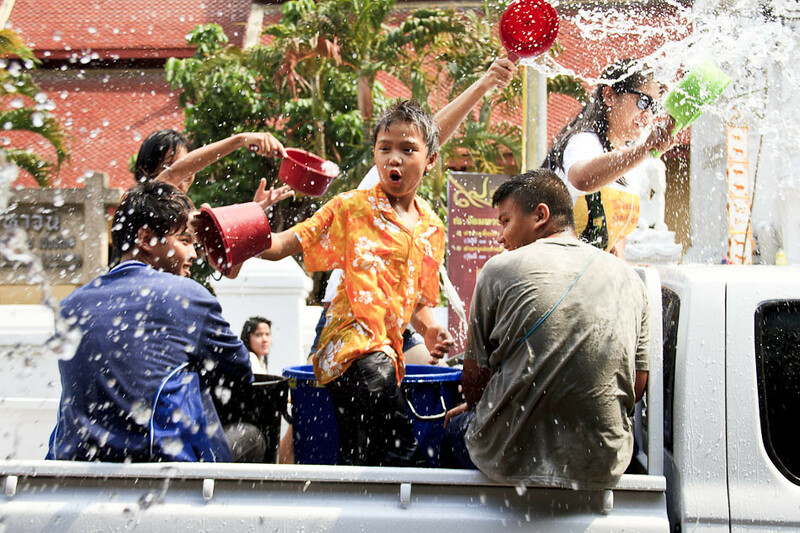 The best Songkran photo collection I’ve seen… it’s like I was there… hey, wait a minute! That’s a full-on bucket war. They have barrels of ice water in the truck and are just sling it out as fast as they can. It’s a bit crazy. Great photos Johnny, Been promising myself a new waterproof camera for the last 2 Songkrans, your pics have inspired me, next year for sure. Really cool photos! I want to be in Thailand for Songkran one day!